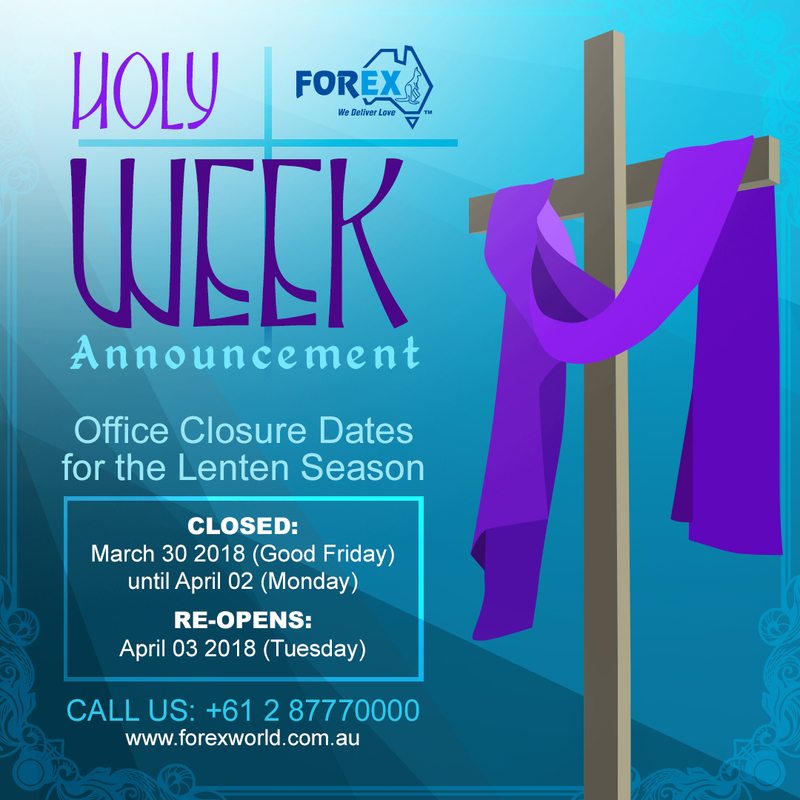 In observance of the Lenten Season, please be advised that ForexWorld Australia will be closed from March 30 (Good Friday) to April 2 (Easter Monday). All inquiries and transactions will be processed and replied back on Tuesday, April 3, 2018. Please be guided accordingly. Should you have any concerns please contact us at +61 2 87770000 or email us at info@forexworld.com.au, you may also reach us via Chat on our website https://www.forexworld.com.au .